recommended for: Fans of Cruel Beauty by Rosamund Hodge, Heartless by Marissa Meyer, The Wrath and the Dawn by Renee Ahdieh, and other lyrical fairy tale retellings. I was totally thrilled to receive a copy of this from Paper Lantern, and even more thrilled when I began reading and realized it's exactly as lovely as I'd hoped. Spindle Fire is a beautiful story of sisterhood and sacrifice, love and friendship and magic. Apparently a lot of people on GR found it boring/poorly executed/whatever, but I had a completely different experience. The style brought me back to an old-timey fairy tale and the characters won my heart. It wasn't perfect, but it was a thoroughly enjoyable, lush, romantic reimagining that left me aching for more. The premise was such a clever twist on Sleeping Beauty. Aurora and Isbe are sisters. One is the natural daughter of the king and queen, one the king's illegitimate child. They live in a world where faeries are a matter of course, some terrifying enemies and others morally ambiguous allies. So when Aurora is born, the king and queen are quite willing to trade her sense of touch and her voice to a fairy in exchange for beauty and sweetness--and Isbe's sense of sight. To make her the perfect docile princess. I will preface by saying that I do not have these disabilities and am no expert on the rep. However, there were elements of Hillyer's portrayal that, in my limited opinion, I found well done. First, though Aurora and Isbe are certainly affected by their disabilities, they still live their lives. They've developed a secret language with each other. Isbe runs wild; she can't see, but she experiences the world fully in other ways. Aurora finds fulfillment in her sister and in stories. They're not portrayed as broken or less. Second, Hillyer doesn't cure them. Warning: this is complicated. Isbe remains blind with no thought of magical cures. Good. Aurora, however, is transported by the spindle prick into a faerie's grief-stricken dream-prison, where she can talk and feel. This would seem like the dreaded magical cure. But, Aurora only gains these senses because she is trapped in a dangerous, dead otherworld--a serious cost. Leading me to believe that, if she returned to the real world, she would lose those abilities again. I can't be sure, but I hope Hillyer sticks with it. The sisters' bond is beautiful and as complicated as the sisters are. Isbe loves her sister, but feels like a second-class citizen, deprived of her freedom and sight only to benefit Aurora. Aurora is clever but unable to express herself to most people, and becomes timid and overly sweet in her silence and loneliness. I loved Isbe immediately for her snark and vibrancy, but Aurora grew on me once she broke out of her overly solicitous shell. Aurora's arc is weaker at first because Aurora is what her parents made her: flat, naive, sweet. But on her own without Isbe to live for her, she's forced to stand up for herself, come to terms with the life her parents chose for her and her own desires. 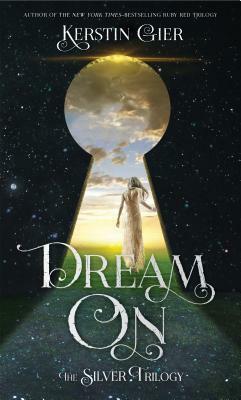 She also meets Heath, a jaded boy whose been trapped in the faerie dream with no hope of escape. Aurora takes it on herself to explore the castle-purgatory and discover the secret history of the faerie who rules it--the very sister of the faerie who cursed Aurora at birth. The search brings out Aurora's courage, and also showcases Hillyer's imaginative worldbuilding. She spins tales like the reincarnation of the old masters. The story is told primarily through Isbe and Aurora, but there are a smattering of other POVs (faeries, mostly) that fill in some of the gaps and illuminate other parts of the story. It was a little annoying not to get more of some POVs (some of the faeries are super interesting!) but I appreciated how they gave depth to the world and added a dash of dramatic irony. The story is also told in third person present. Weird, I know. But not so weird, because Hillyer's language was poetic and gorgeous and besides the occasional jarring moment when a strange construction reminded me we were in 3rd present, I didn't notice it. The language! Hillyer's poetry background is obvious. Her writing is beautiful, incisive, and revelatory, without the flowery excess of less talented writers. It created a transporting, magical atmosphere. My main complaint would be that I wished it were longer. I wanted more of everything: more of the writing, more of the characters, more of the world's backstory, more of the faeries and their debauchery. Thank god there's going to be a sequel. 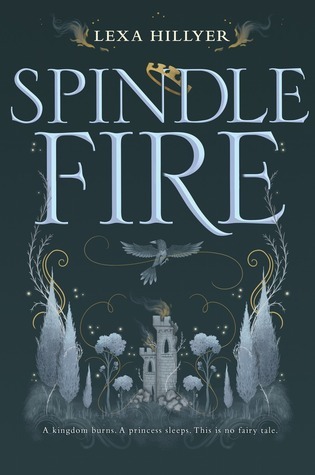 Spindle Fire was just the reimagining I'd hoped for, with the lush otherworld-ness of Cruel Beauty and a new take on the faerie canon. Spindle Fire is a lyrical reimagining of Sleeping Beauty, with two complex heroines, intricate worldbuilding, and a story that leaves you desperate for more.